Today marks the beginning of Bullying Awareness Week throughout much of Canada. The Kids Help Phone website is currently highlighting bullying resources and information to help educate people on the topic of bullying. You can also join Kids Help Phone for a live webinar on Facebook this Thursday at 4pm EST. 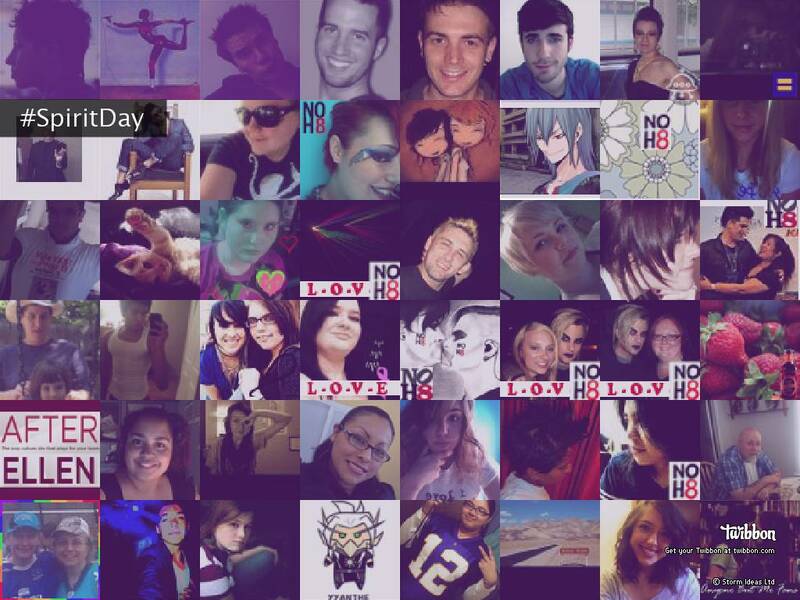 Wednesday, October 19th is Spirit Day, bringing awareness to the topic of bullying targeted towards LGBTQ youth. If you have the passion and means to do so, donate to GLAAD to take a stand against discrimination and prejudice. The pledge, resource kits, shareable facts, social media supplies, and more are all available on GLAAD’s website. Since its debut on Netflix earlier this year, the drama “13 Reasons Why,” an adaptation of a young adult novel, has spurred much discussion among suicide prevention experts and mental health advocates. The series follows the story of Hannah, a teenager who has recently died by suicide. As her parents, teachers and friends process the loss, Hannah’s close friend and crush, Clay, finds himself obsessed with Hannah’s death, what caused her to kill herself, and how it may have been prevented. He is plagued by the “what ifs” of their time together. A mysterious delivery sends Clay further down a path of grief, regret, and ultimately the start of healing and learning lessons from loss. Some have praised the series for drawing awareness to the topic of suicide. “13 Reasons Why” is one of Netflix’s most watched programs of 2017 and has exposed people to suicide and the intense grief of survivors, and also issues like sexual assault, drug addiction, and bullying. Unfortunately, the show is riddled with problematic content. Hannah’s suicide is romanticized, especially in the context of the star-crossed lovers relationship between Hannah and Clay. Suicide is portrayed as an acceptable method of revenge, and the revenge element often overshadows the complex and mounting reasons that Hannah took her own life. Opportunities to show how teens might reach out, and successfully receive help, are missed, and in fact it shows only how attempt’s to get help could go horribly wrong. Teenagers could construe this message as discouraging help-seeking from adults. Finally, and most upsetting, is the fact that Hannah’s suicide is graphically depicted, going against guidelines that suicide experts outline for the media. For a program aimed and marketed towards teens, who are particularly vulnerable to influence and suicide contagion, these are some dangerous missteps that overshadow any awareness message. Suicide prevention experts and advocates have been speaking out about “13 Reasons Why” since it was released, and that includes Beau Pinkham, Director of Crisis Intervention Services at The Crisis Center of Johnson County, Iowa. In a recent Op-Ed, Beau lays out the dangers of the series’ depiction of suicide and the effects it is having. You can read Beau’s Op-Ed in the Des Moines Register here. 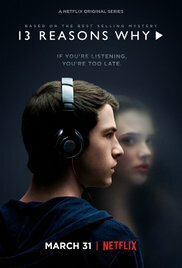 Have you watched “13 Reasons Why?” What were your thoughts? Please leave us a comment below. Artist Gilbert Baker created the rainbow flag as the symbol of LGBT pride because it embodied diversity and hope. Each color represents something different. Red for Life, Orange for Healing, Yellow for Sunlight, Green for Nature, Blue for Art, and Purple for the Human Spirit. The flag sometimes also includes Pink which symbolizes sexuality, and Indigo for Harmony. 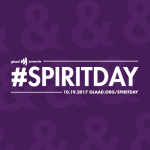 Spirit Day, presented by GLAAD, encourages everyone to wear purple to embody that spirit and to show support and solidarity with LGBT youth. Millions of people, schools, organizations, universities, and corporations participate. GLAAD offers up a lot of ways to get involved and show your support. You can simply wear purple or choose to change your profile picture on Facebook or Twitter to have a purple overlay using a tool they have available. You can also install an app on your smartphone or tablet that provides anti-bullying resources and calls to action. The show of solidarity is important, but a big part of Spirit Day is also about educating others on the impact of LGBT bullying. For that, they have resource kits available. We hope you’ll consider taking part in Spirit Day and show LGBT youth everywhere that it’s okay to be who they are, and that they have lots of support. We at iCarol are excited to welcome STOMP Out Bullying&#0153 to the iCarol family, just in time for National Bullying Prevention Month in October. STOMP Out Bullying&#0153 is a leading national anti-bullying and cyberbullying organization for kids and teens in the United States. STOMP Out Bullying&#0153 began in 2005 to address the issue of bullying and cyberbullying. They focus on reducing and preventing bullying and cyberbullying and other forms of digital abuse, and educating against racism, hate, and homophobia. Through a number of programs and initiatives, STOMP Out Bullying&#0153 teaches effective solutions on how to respond to bullying. They also provide help for those in need and at risk of suicide. 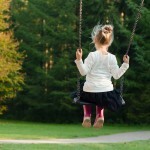 Bullying should not be considered a “rite of passage” or a normal and acceptable part of childhood. According to STOMP Out Bullying&#0153, kids who are bullied are more likely to experience depression, anxiety, and other mental health issues. Bullying can cause school absence and decreased academic participation – including dropping out of school entirely. Bullies themselves are at risk, too. According to STOMP Out Bullying&#0153, bullies are more likely to abuse alcohol or drugs when they become adolescents or adults. They are at increased risk of being involved in criminal activity, and are more likely to be abusive to their spouse/partner or children as adults. STOMP Out Bullying Blue Shirt Day® World Day of Bullying Prevention 2014 PSA from STOMP Out Bullying on Vimeo.